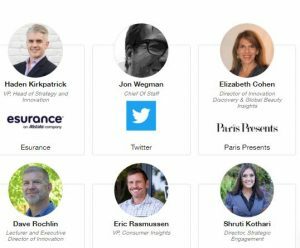 Disruptive Strategy Summit San Francisco 2018 is one of the Innovation Enterprise series of Digital Marketing, Mobile Marketing, E-commerce, Retail, data visualization, and Social Media conferences held annually around the world. Disruptive Strategy Summit San Francisco 2018 has been designed to empower forward-thinking business leaders to tackle these challenges head-on, in addition, it is a crash course in how to radically transform your business, by giving tools that drive organizational change and outpace competitors. It’s a two-day event that will take place from 13 – 14 of September 2018 at BeSpoke, San Francisco, The USA. Harness true understanding of ‘disruptive innovation’ in alignment with your business goals. Respond to customer needs with agility at every stage of your strategic process. Align, maintain and execute disruptive strategic vision at scale across your business. Unlock innovation in internal resources & external partners to position your business for new growth. Optimize your data via emerging models, frameworks and advances in AI and machine learning to enrich strategy development & execution. Dive in with our ‘Disruption labs’ to arm you with the tools, techniques and case studies you need to build a business case for change. Big Data Innovation Summit Boston 2018, Data Visualization Summit Boston 2018. Big Data & Analytics Innovation Summit Sydney 2018. Digital Strategy Innovation Summit Sydney 2018. CFO Rising Europe Summit London 2018. Follow up the Disruptive Strategy Summit San Francisco 2018 updates here OR discover more Digital Marketing events, conferences & webinars in the USA during 2018 here.